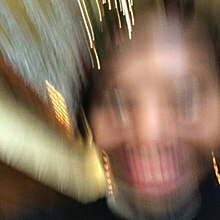 Some Rap Songs is the third studio album by American rapper Earl Sweatshirt. It was released on November 30, 2018, by Columbia Records and Tan Cressida Records. The album features guest contributions from Navy Blue, Standing on the Corner, as well as vocal samples of Earl's mother, Cheryl Harris, Earl's father Keorapetse Kgositsile who is credited posthumously, and an instrumental sample of Earl's uncle, Hugh Masekela, who is also credited posthumously. It features prominent production from Earl Sweatshirt, with further contributions by Darryl Anthony, Adé Hakim, Denmark, Black Noise, Sage Elsesser and Shamel of SOTC. Some Rap Songs was released on November 30, 2018. On January 30, 2019, Earl uploaded an 8-minute short film titled Nowhere, Nobody in promotion of the album, featuring different songs from the album throughout the video. The album's lead single, "Nowhere2go", was released on November 8, 2018. The album's second single, "The Mint" featuring Navy Blue, was released on November 20, 2018. Some Rap Songs was met with widespread critical acclaim. At Metacritic, which assigns a normalized rating out of 100 to reviews from mainstream publications, the album received an average score of 86, based on 19 reviews. Reviewing the album for The A.V. Club, Clayton Purdom stated "Well, it can be [dour]. But it's also ecstatic. Make no mistake: This is an album by one of the best rappers alive, elbowing slant rhymes and assonance into his disses ("Please do abort, I could feel when you're forcin' it / Still in a bore riddim") and exhaling those singularly oblong sentences of his ("Galaxy's the distance between us by Christmas," he describes one foundering relationship)." Fred Thomas of AllMusic saying "Simultaneously sad, strange, and warmly nostalgic, Some Rap Songs is excitingly listenable and emotionally connected despite its abstruse approach. The album's triumphs are in its fearless risk taking and the insight it allows into the journey of Earl Sweatshirt's constant creative regeneration." Timmhotep Aku of Pitchfork said, "The project is distinctly rough around the edges, to great effect; there's the sound of dust popping off vinyl and cassette hiss throughout. ... His uncle and father are gone, but Earl is still here, carrying on their artistic legacy—and, with the help of his collaborators, building his own." Sputnikmusic wrote, "Every loop [of "Nowhere2go"] reveals another layer to the undulating beat, but for the first time thus far it's Earl taking the spotlight, rising above the track with a tired yet hopeful rap that's so melodic he's nearly singing. And in case you were worried the boy wouldn't spit, it's followed quickly by "December 24", a song dating back years under the name "Bad Acid" which provides the strongest link to the more aggressive and conventional early 2010s Earl." Daniel Spielberger of HipHopDX praised the album saying, "Some Rap Songs is reminiscent to Earl's late friend Mac Miller's final album Swimming. Both bring the listener through the process of overcoming trauma and healing but ultimately, choose to leave the story unfinished." XXL critic Chris Gibbons said, "Some Rap Songs packs a lot in 25 minutes, making for an unsettling listen that is also one of the most personal, gripping rap records of the year." Charles Holmes from Rolling Stone stated, "Some Rap Songs is the rare album by an immensely talented lyricist who deigns not to pull out any fireworks, opting to sink into the cushion's of a therapist's couch in the search for an honest work of art. It's a delicate statement of restraint, and in this case the process shows more of the artist than ever before." Sam Moore from NME enjoyed the album, saying, "Some Rap Songs may be a brief exercise, but its ambition and the—largely successful—execution of its ideas demonstrate that the enigmatic Earl is as fascinating as ever." M. T. Richards of Exclaim! said, "Although a very strong record for what it is, Some Rap Songs lacks the emotional power of the two albums that preceded it, particularly Doris, which charted Earl's transition back to civilian life from a Samoan wilderness camp." Credits were adapted from the album's liner notes and Tidal. ^[a] "Shattered Dreams" contains samples from "Shattered Dreams" as performed by The Endeavors and written by John Thomas Jr.
^[b] "Cold Summers" contains a sample of "Road Man (Mystic)" as performed by Mighty Flames and written by Willy N'For, Emmanuel Baloka and Jimmy Stormy. ^[c] "Ontheway!" contains samples from "Trust in Me Baby" as performed by Soul Superiors and written by Sherman Willis. "The Mint" contains a sample from the film Black Dynamite. ^[d] "The Bends" contains a sample from "After Loving You" as performed by Linda Clifford and written by Lowrell Simon and Richard Tufo. ^[e] "Azucar" contains a sample from "I'm Just a Shoulder to Cry On" as performed by The Soul Children and written by Donald Davis, Harvey Scales and Albert Vance. ^[f] "Veins" contains a sample from "I Made a Mistake" as performed by Billy Jones and written by Curtis Mayfield. "Playing Possum" contains vocal samples from "UCLA Law Keynote" as spoken by Earl's mother, Cheryl Harris, and an excerpt of "Anguish Longer Than Sorrow", a poem written and spoken by Earl's father, Keorapetse Kgositsile. ^[g] "Riot!" contains a sample from "Riot!" as performed and written by Earl's uncle, Hugh Masekela. ^ Strauss, Matthew; Minsker, Evan (November 20, 2018). "Earl Sweatshirt Releasing New Album Some Rap Songs Next Week, Shares 'The Mint': Listen". Pitchfork. Retrieved November 20, 2018. ^ a b Cook-Wilson, Winston (November 20, 2018). "Earl Sweatshirt Announces 'Some Rap Songs' Album, Releases "The Mint" [UPDATED]". Spin. Retrieved November 20, 2018. ^ Cowen, Trace William (January 30, 2019). "Earl Sweatshirt Shares Experimental 'Nowhere, Nobody' Short Film". Complex. Retrieved January 30, 2019. ^ Minsker, Evan; Bloom, Madison (November 8, 2018). "Listen to Earl Sweatshirt's New Song "Nowhere2go"". Pitchfork. Retrieved December 15, 2018. ^ Ross, Alex Robert (November 20, 2018). "Earl Sweatshirt Drops "The Mint," Confirms New Album 'Some Rap Songs' [Update]". Noisey. Retrieved December 15, 2018. ^ "Some Rap Songs by Earl Sweatshirt reviews". AnyDecentMusic?. Retrieved December 4, 2018. ^ a b "Some Rap Songs by Earl Sweatshirt Reviews and Tracks". Metacritic. Retrieved December 4, 2018. ^ a b Thomas, Fred. "Some Rap Songs – Earl Sweatshirt". AllMusic. Retrieved December 8, 2018. ^ a b Purdom, Clayton (December 6, 2018). "Earl Sweatshirt locks in on the uncompromising Some Rap Songs". The A.V. Club. Retrieved December 7, 2018. ^ Monroe, Tommy (December 4, 2018). "Album Review: Earl Sweatshirt Keeps It Short and Personal on Some Rap Songs". Consequence of Sound. Retrieved December 4, 2018. ^ a b Richards, M. T. (December 3, 2018). "Earl Sweatshirt: Some Rap Songs". Exclaim!. Retrieved December 3, 2018. ^ Hunter-Tilney, Ludovic (December 8, 2018). "Earl Sweatshirt: Some Rap Songs — a short but intense experience". Financial Times. Retrieved December 8, 2018. ^ Beaumont-Thomas, Ben (December 7, 2018). "Earl Sweatshirt: Some Rap Songs review – powerful, emotional poetry". The Guardian. Retrieved December 7, 2018. ^ a b Moore, Sam (November 30, 2018). "Earl Sweatshirt – 'Some Rap Songs' review". NME. Retrieved November 30, 2018. ^ a b c d Aku, Timmhotep (November 30, 2018). "Earl Sweatshirt: Some Rap Songs Album Review". Pitchfork. Retrieved November 30, 2018. ^ a b Holmes, Charles (December 4, 2018). "Review: Earl Sweatshirt's 'Some Rap Songs' Defies Expectations With a Statement of Restraint". Rolling Stone. Retrieved December 4, 2018. ^ a b Gibbons, Chris (December 7, 2018). "Earl Sweatshirt's 'Some Rap Songs' Album Toys With Convention". XXL. Retrieved December 8, 2018. ^ "Review: Earl Sweatshirt – Some Rap Songs". Sputnikmusic. Retrieved December 3, 2018. ^ Spielberger, Daniel (December 10, 2018). "Earl Sweatshirt Some Rap Songs Album Review". HipHopDX. Retrieved January 5, 2018. ^ "50 Best Albums of 2018". Complex. December 5, 2018. Retrieved December 15, 2018. ^ "The 50 best albums of 2018". Fact. Retrieved December 17, 2018. ^ "The Best Albums of 2018". Flood Magazine. December 10, 2018. Retrieved December 19, 2018. ^ "The 25 Best Albums of 2018". Highsnobiety. December 19, 2018. Retrieved December 20, 2018. ^ "Best albums of the year 2018". NME. December 13, 2018. Retrieved December 15, 2018. ^ "Noisey's 100 Best Albums of 2018". Noisey. December 4, 2018. Retrieved December 15, 2018. ^ "The Best Albums of 2018". Okayplayer. December 21, 2018. Retrieved December 28, 2018. ^ "The 50 Best Albums of 2018". Pitchfork. December 11, 2018. Retrieved December 15, 2018. ^ "51 Best Albums of 2018: Staff Picks". Spin. December 12, 2018. Retrieved December 15, 2018. ^ "The Best Albums of 2018". Stereogum. December 4, 2018. Retrieved December 15, 2018. ^ "The 50 Best Albums of 2018". Uproxx. December 3, 2018. Retrieved December 15, 2018. ^ a b "Some Rap Songs / Earl Sweatshirt". Tidal. Retrieved November 30, 2018. ^ "Ultratop.be – Earl Sweatshirt – Some Rap Songs" (in Dutch). Hung Medien. Retrieved December 8, 2018. ^ "Earl Sweatshirt Chart History (Canadian Albums)". Billboard. Retrieved December 12, 2018. ^ "Dutchcharts.nl – Earl Sweatshirt – Some Rap Songs" (in Dutch). Hung Medien. Retrieved December 8, 2018. ^ "Irish Albums Chart: 7 December 2018". Irish Recorded Music Association. Retrieved December 8, 2018. ^ "NZ Top 40 Albums Chart". Recorded Music NZ. December 10, 2018. Retrieved December 7, 2018. ^ "Official Albums Chart Top 100". Official Charts Company. Retrieved December 7, 2018. ^ "Official R&B Albums Chart Top 40". Official Charts Company. Retrieved December 7, 2018. ^ "Earl Sweatshirt Chart History (Billboard 200)". Billboard. Retrieved December 11, 2018. ^ "Earl Sweatshirt Chart History (Top R&B/Hip-Hop Albums)". Billboard. Retrieved December 11, 2018. ^ "Some Rap Songs by Earl Sweatshirt". iTunes Store. Retrieved November 26, 2018. ^ "NEW EARL SWEATSHIRT ALBUM (CD)". earlxsweatshirt.com. Retrieved November 26, 2018. ^ "NEW EARL SWEATSHIRT ALBUM (CASSETTE)". earlxsweatshirt.com. Retrieved November 26, 2018. ^ "NEW EARL SWEATSHIRT ALBUM (VINYL)". earlxsweatshirt.com. Retrieved November 26, 2018.